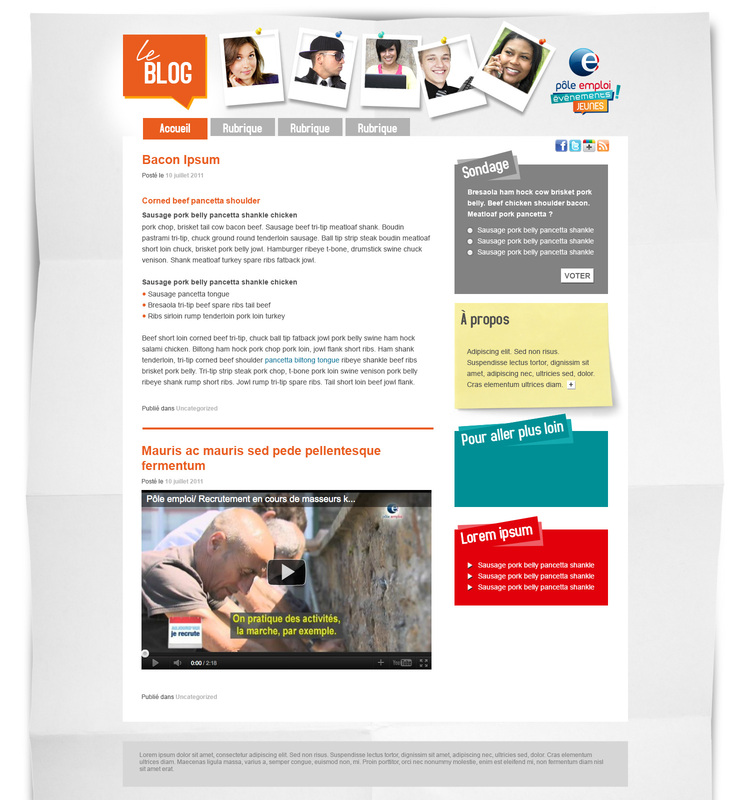 The French Employment Agency launched a blog targeting young unemployed people. It offers news, events, and job opportunities. Powered by WordPress. Uses AddThis.